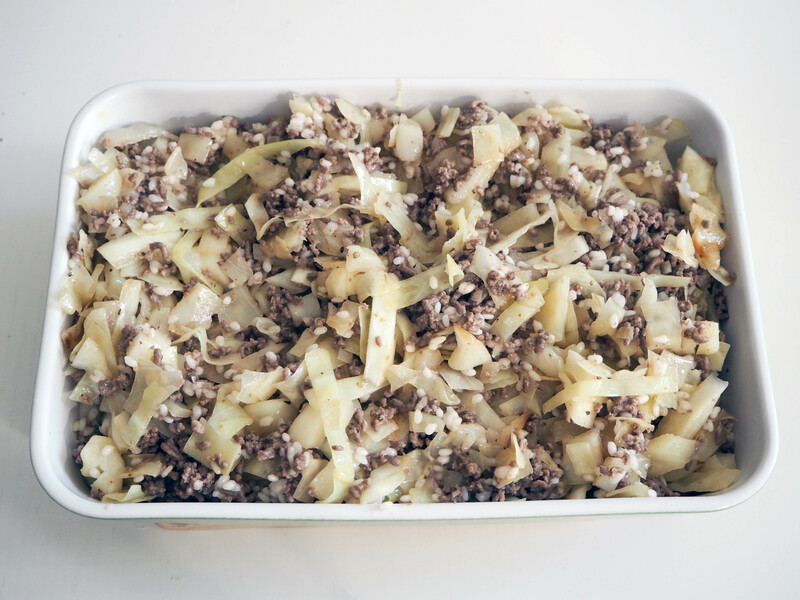 In Finnish cuisine, there is a series of laatikkos, aka casserole dishes: porkkana / carrot, peruna / potato, lanttu / rutabaga… and this one right here, cabbage casserole, with ground meat and rice. I knew about this grand “laatikko family” but I never ate any, until I made the first one today. I was not at all planning to cook this today but I felt this weird urge to eat cabbage (slightly strange, right? who craves for cabbage really??) and decided to work on my first laatikko. 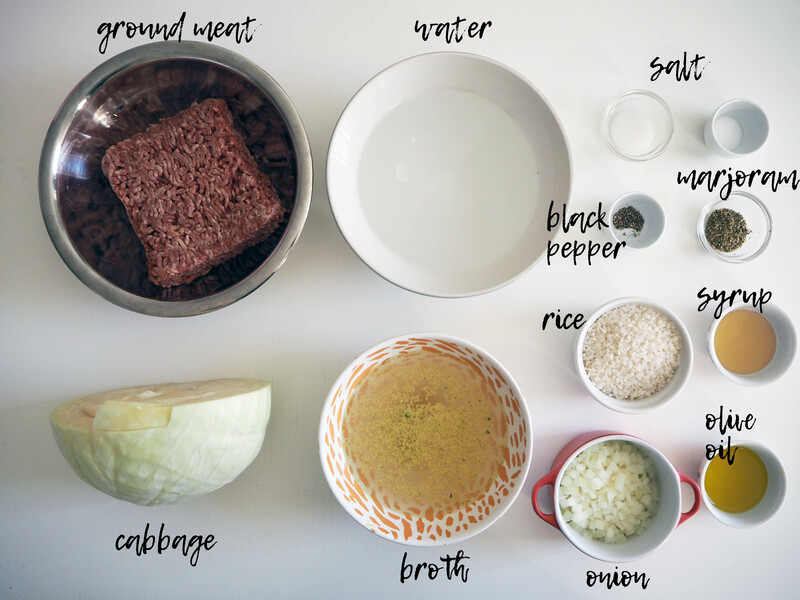 As someone who normally does not mix meat and vegetables and who in fact does not eat meat much, this might have been a strange choice; not so much the cabbage part but to cook it with meat. 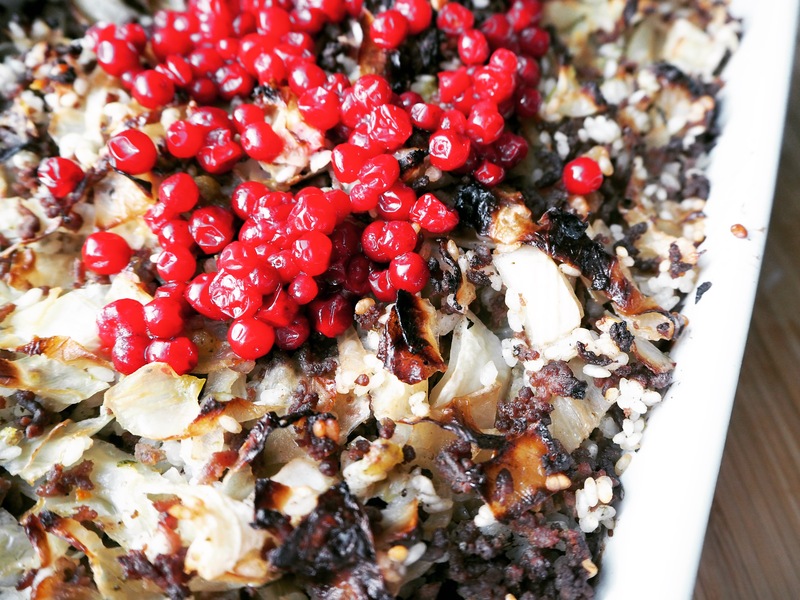 However, the dish reminds me a lot of Turkish cabbage dish “Kapuska”. 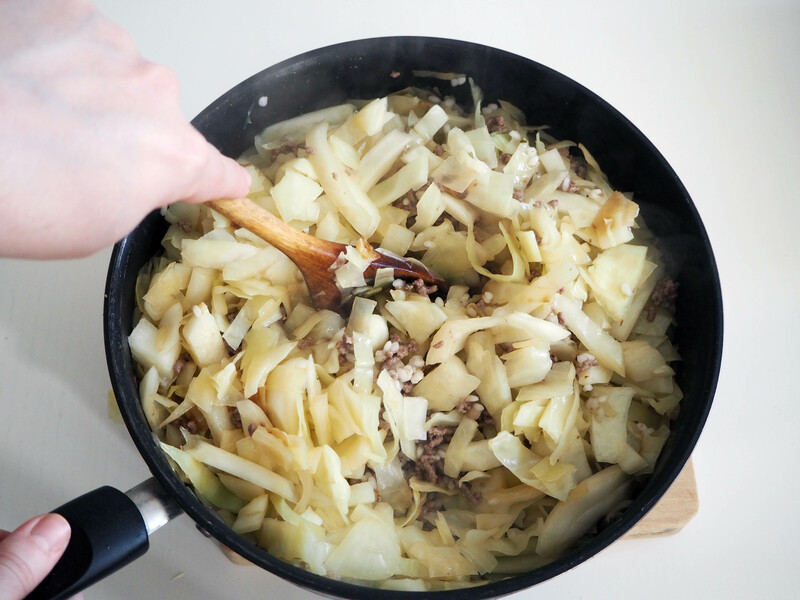 It is cabbage stew cooked in different ways, and sometimes with ground meat. The difference, though, is that this one is baked in the oven after cooking each element slightly and separately. 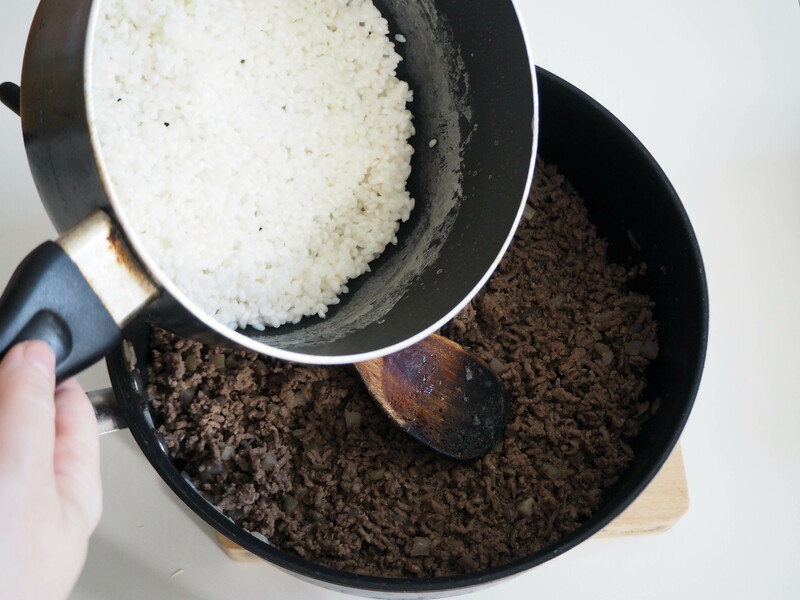 The recipe is simple. It looks like too much work, but actually it isn’t, since each step is made quite fast. Then after you put the dish in the oven, you sit down and relax… The result? OH-MY… It is absolutely DELICIOUS! 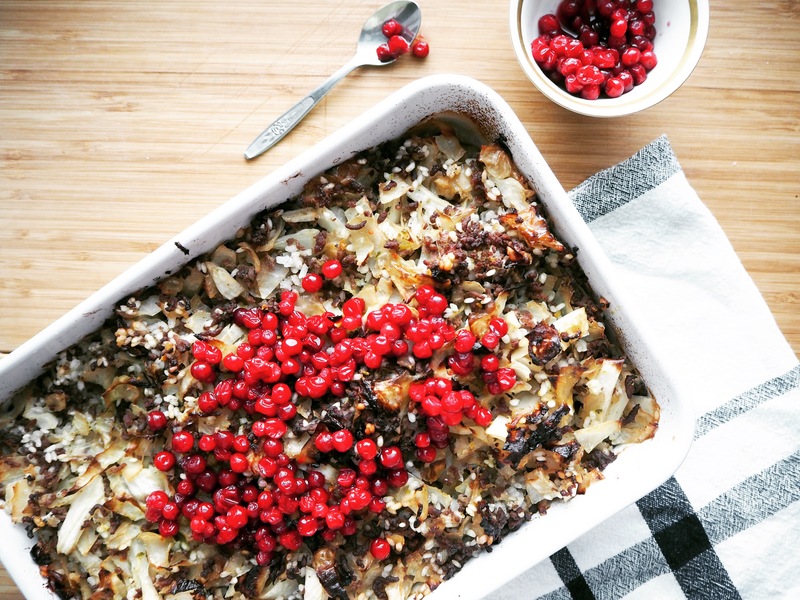 It is slightly crusty on top, but soft, juicy and rich at the base.. And of course, as many other things Finnish, you add – if you want – some lingonberries on top, and the result is an ABSOLUTE FEAST inside your mouth. I had laatikkogasm tonight! I strongly recommend you too.. Next, I will try lanttulaatikko. Yum. 2. 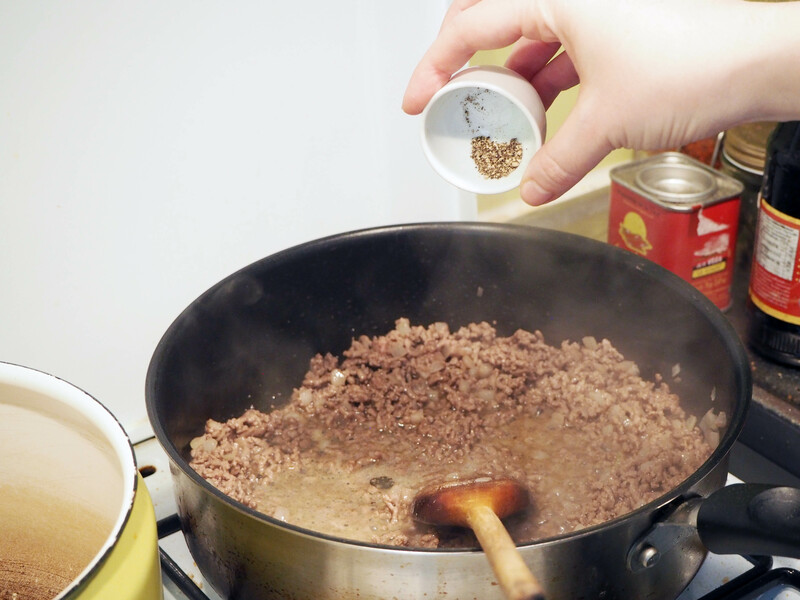 In a medium pan, put water and 1/2 tsp salt, stir a little and put on medium high heat. 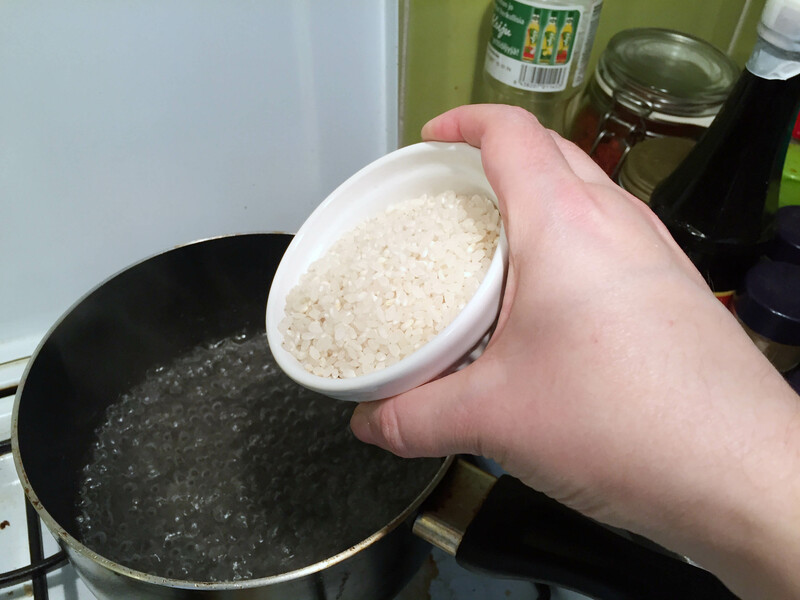 When it starts boiling, put rice and cook on medium heat just until the rice absorbs almost all the water. Take away from the heat and put aside. 3. 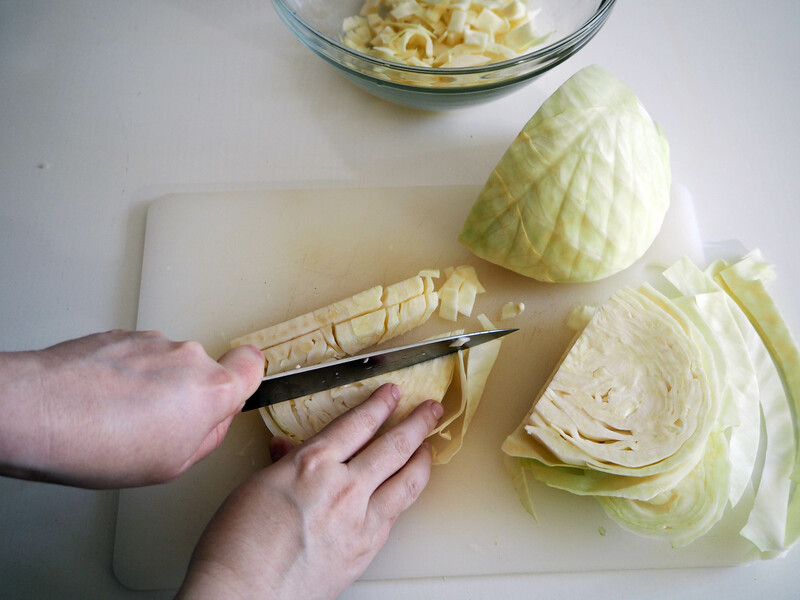 Cut cabbage in strips and put aside. 4. 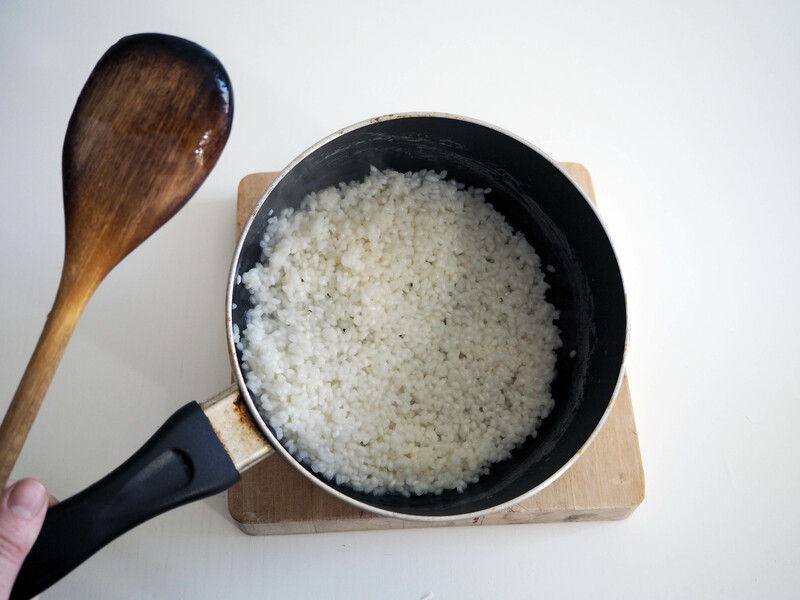 In a medium pan, put a splash of olive oil and warm it on medium high heat for about a minute. 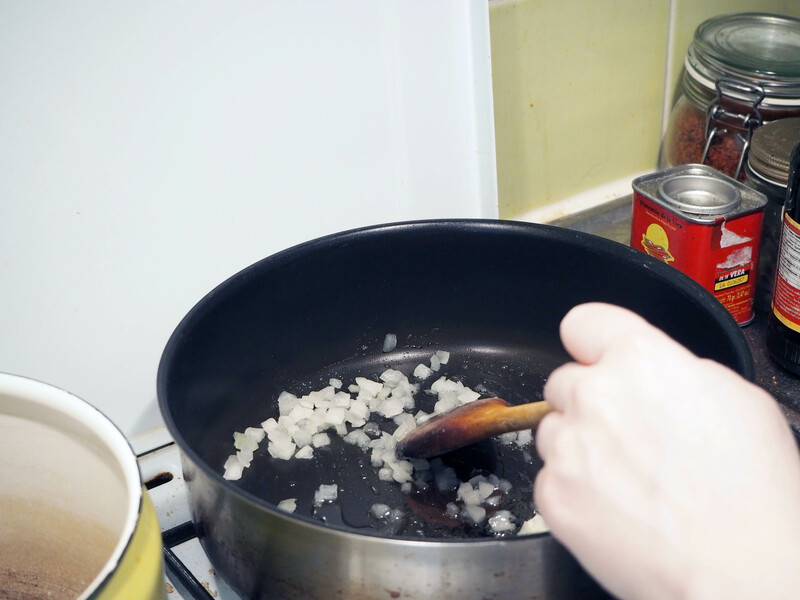 Add onion and sauté for half a minute. 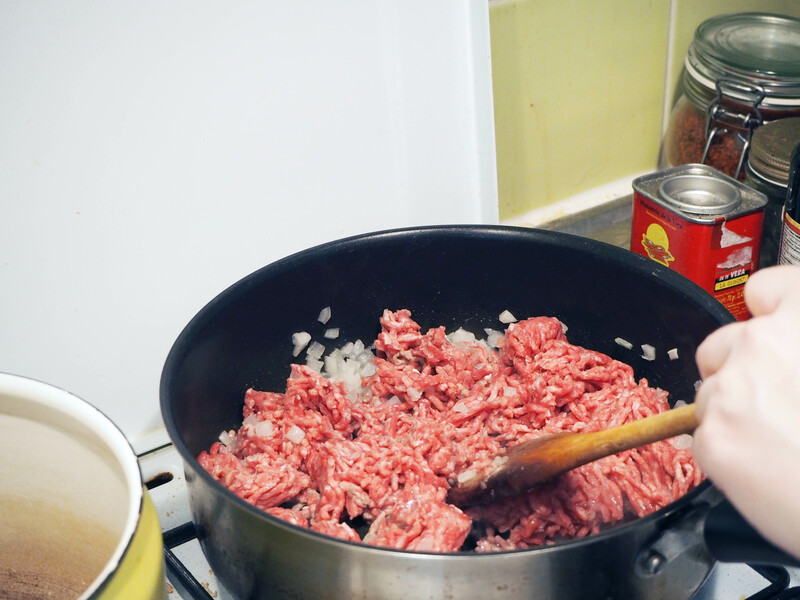 Add ground meat and cook stirring. 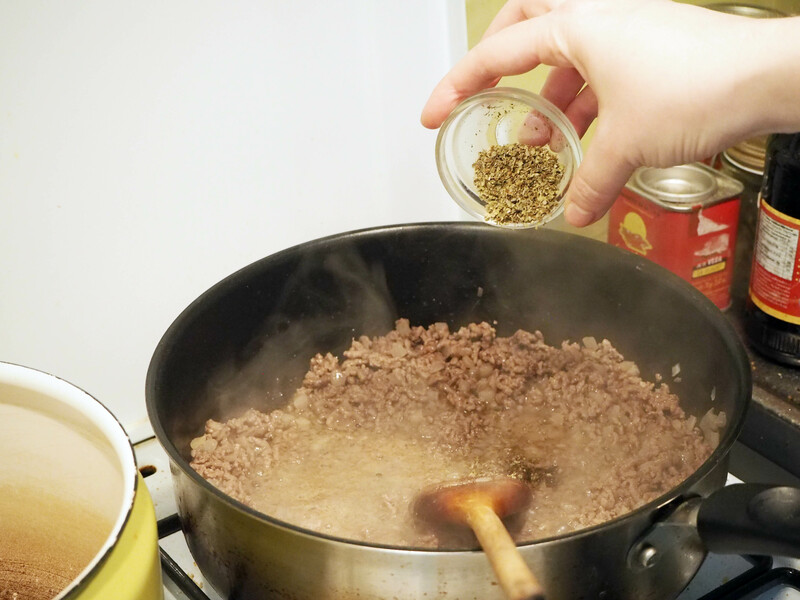 When the meat colour changes to “cooked brown”, add 1 tsp salt, 1/4 tsp black pepper and 1 tsp marjoram. Give it a final mix and take away from the heat, put aside. 5. 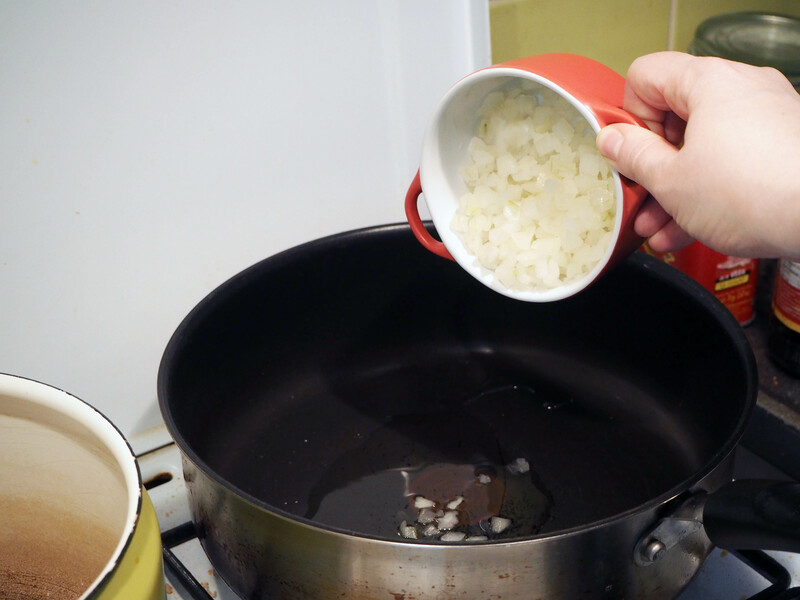 In a medium pot, put 1 tbsp olive oil and warm it on medium heat for half a minute. 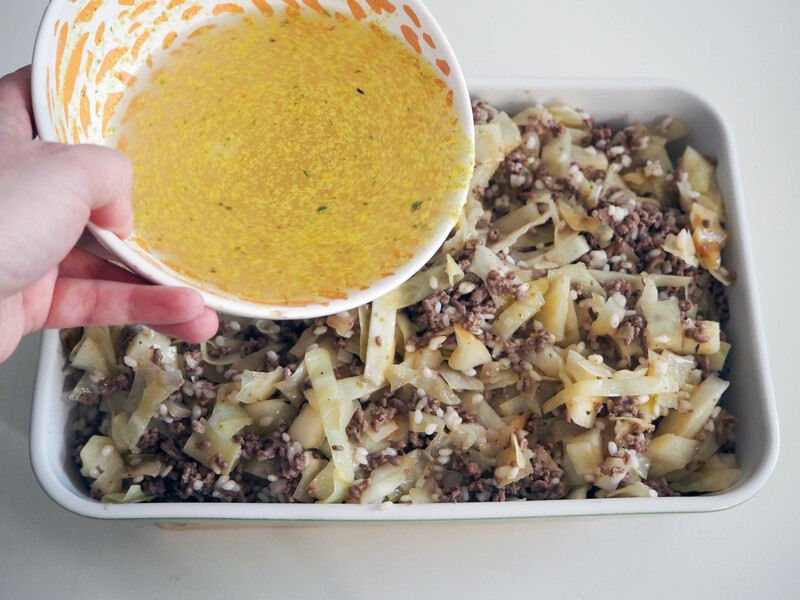 Add cabbage and stir a little. 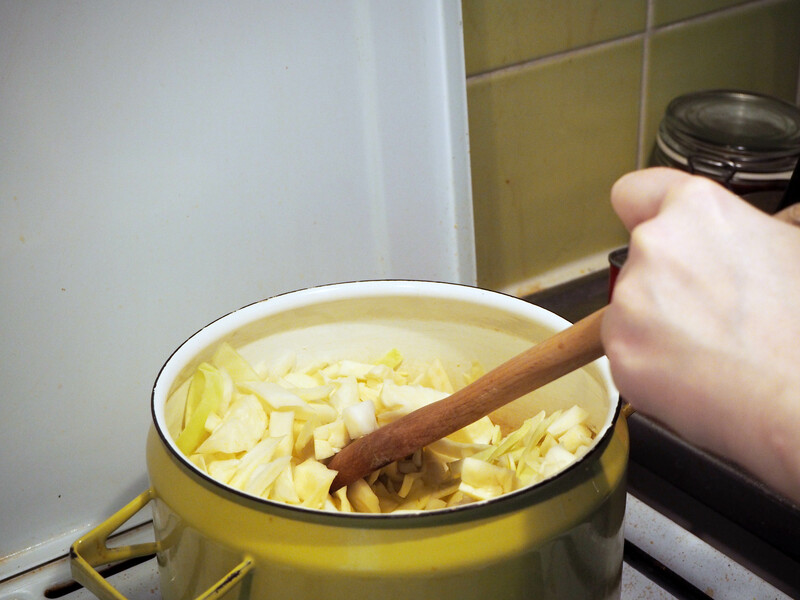 Close the lid of the pot and cook the cabbage just until it gets soft, for about 5-8 minutes. I added about 1 dl. 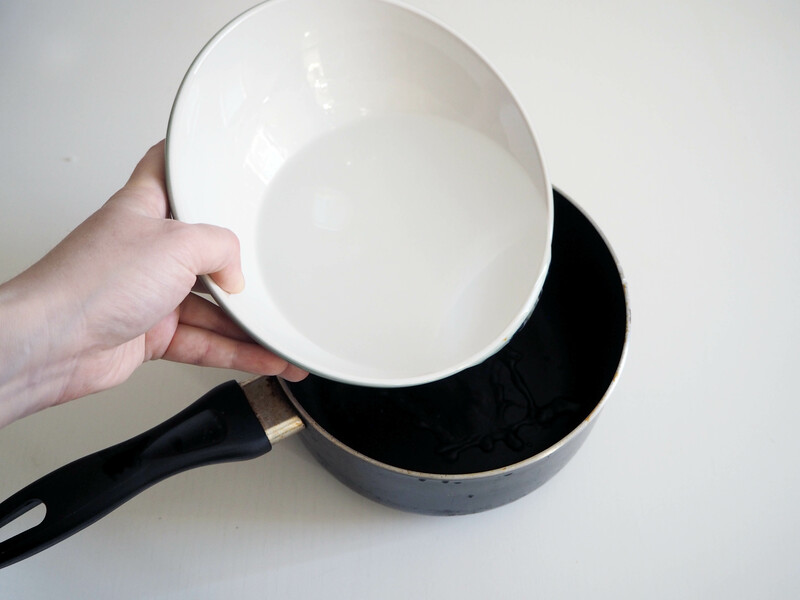 warm water so that the cabbage does not stick to the bottom of the pan and burn. 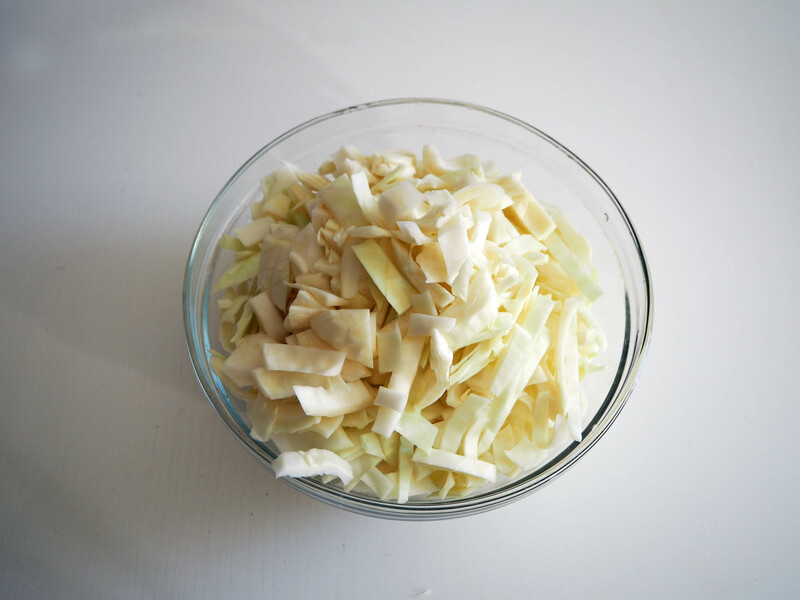 Stir cabbage frequently to prevent from burning. 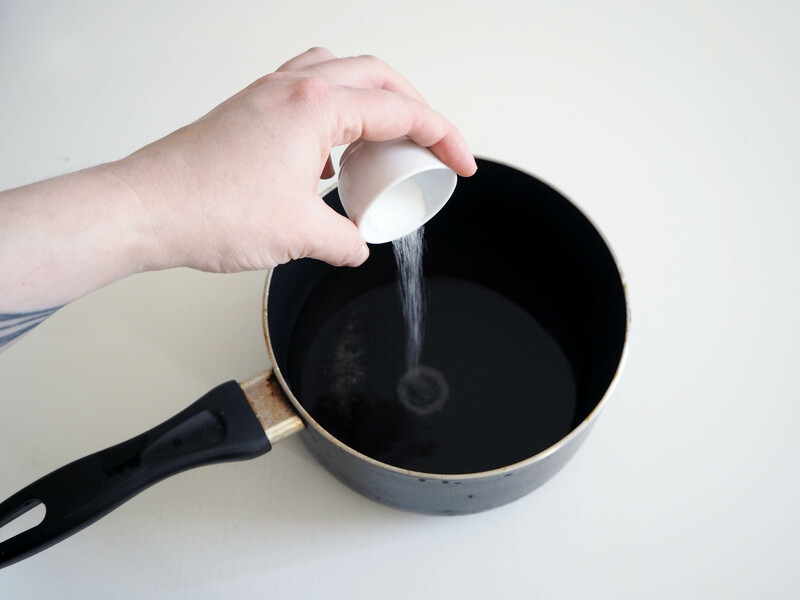 When it gets soft, add syrup, stir a little more and take away from the heat. 6. 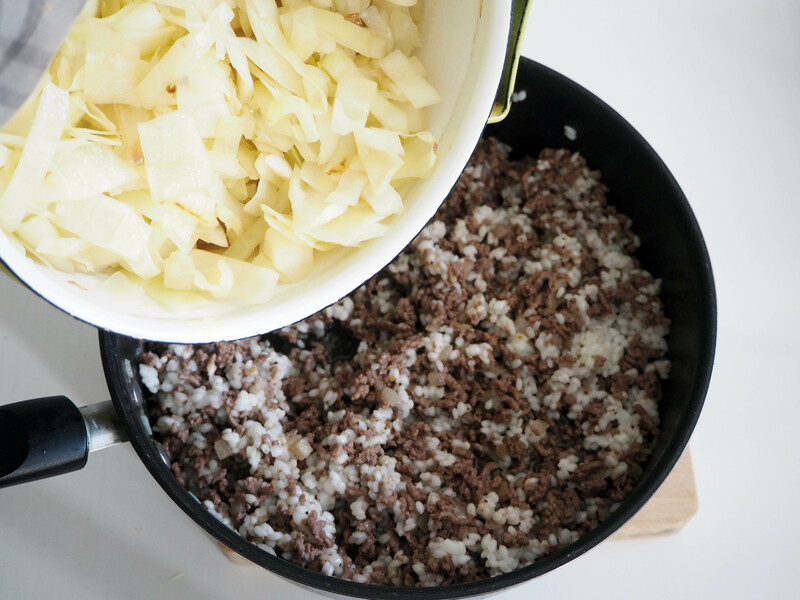 Mix onion/meat, rice and cabbage. 7. 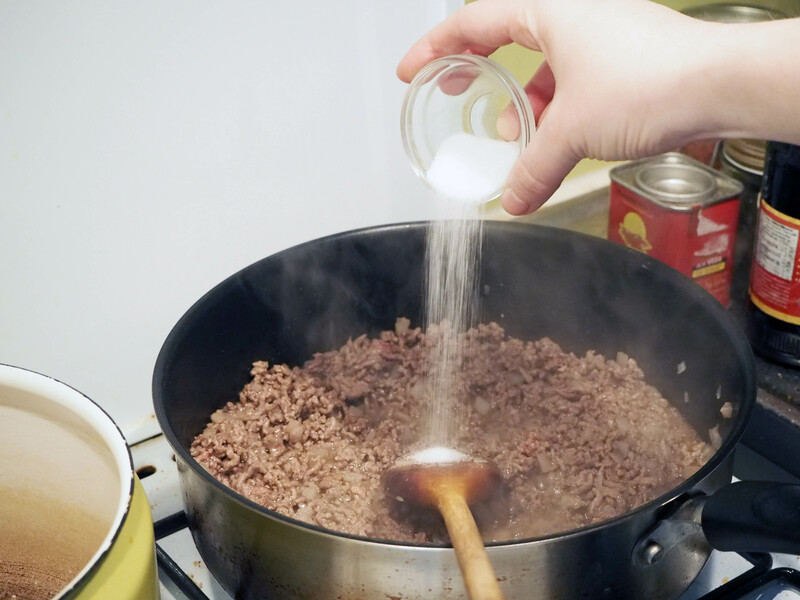 Transfer the mixture to your oven dish. Pour 4 dl. 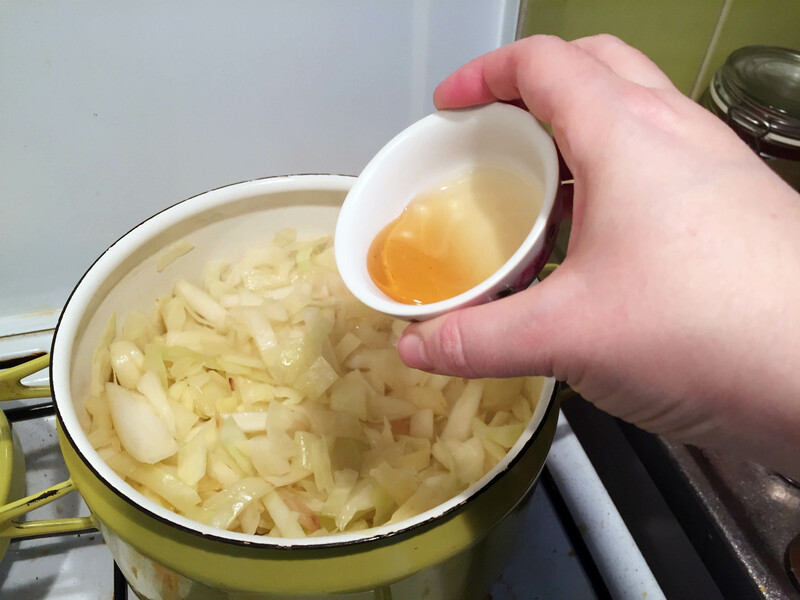 broth over the mixture. Put in the oven, in medium rack and bake for about 1 hour, until it gets fully cooked and gets crusty on top. 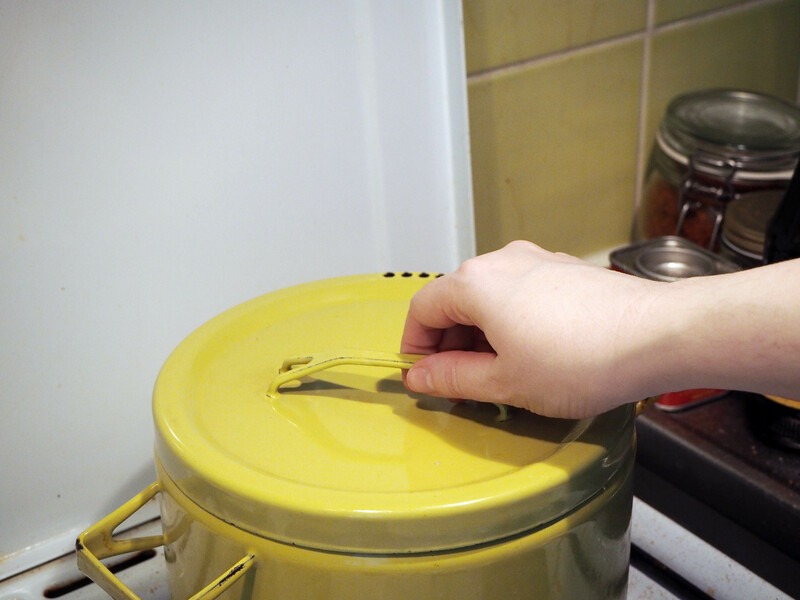 If it gets too crusty earlier than 1 hour, you can cover top of the dish with aluminium foil. When it is ready, take out of the oven and let it cool for 10 minutes. 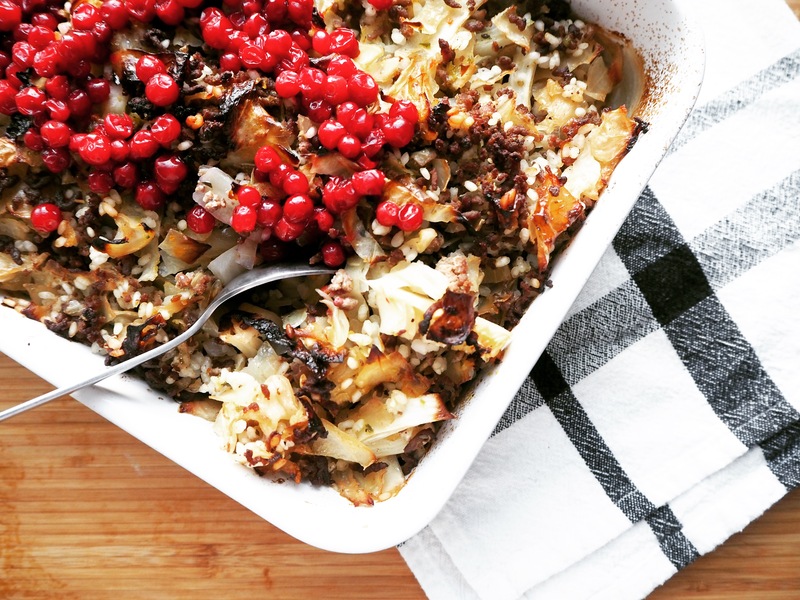 Serve with lingonberries (optional). Enjoy! Yes i’m sure it’s tasty like that too! I am not vegetarian officially, but I do not eat meat much, except for a few occasions like this one…. But I’ll try with mushrooms too! Laatikkogasm :) Thanks for the laugh! Laatikko looks delicious! Thank you very much for the kaali recipe. I was googling kaalipirakka and found it. 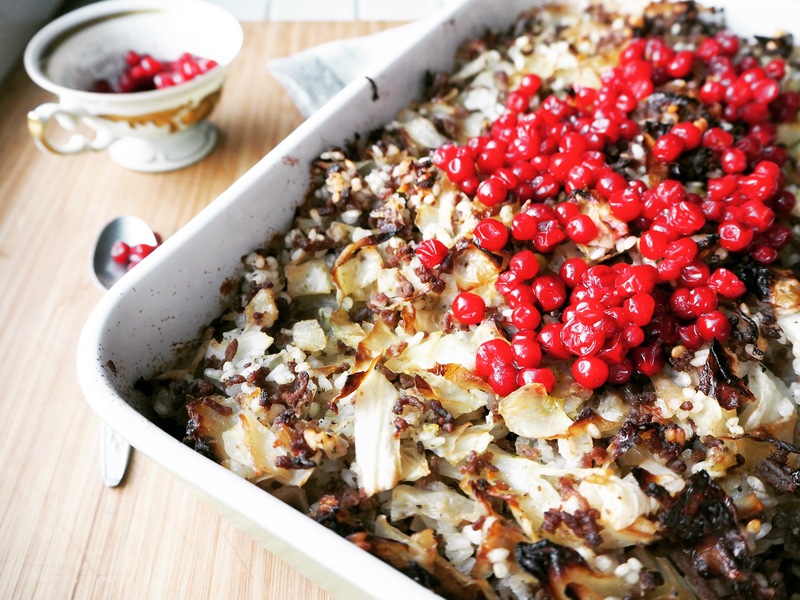 When we lived in Finland my mum in law used to make kaali pirakka for parties. So delicious. 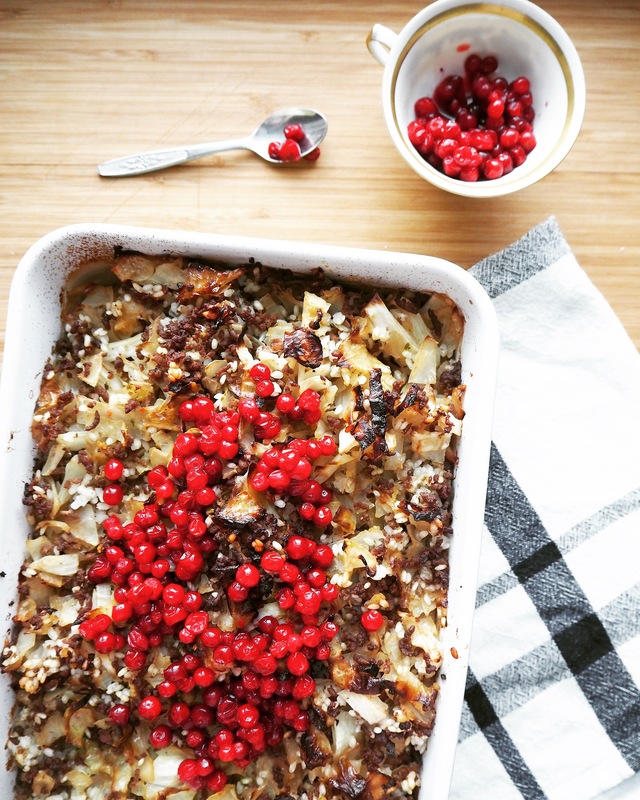 Will be trying your laatikko recipe over Christmas. What is “syrup”? I have seen this used in other recipes. It’s a syrup made of sugar beet and it’s commonly found in shops here in Finland. 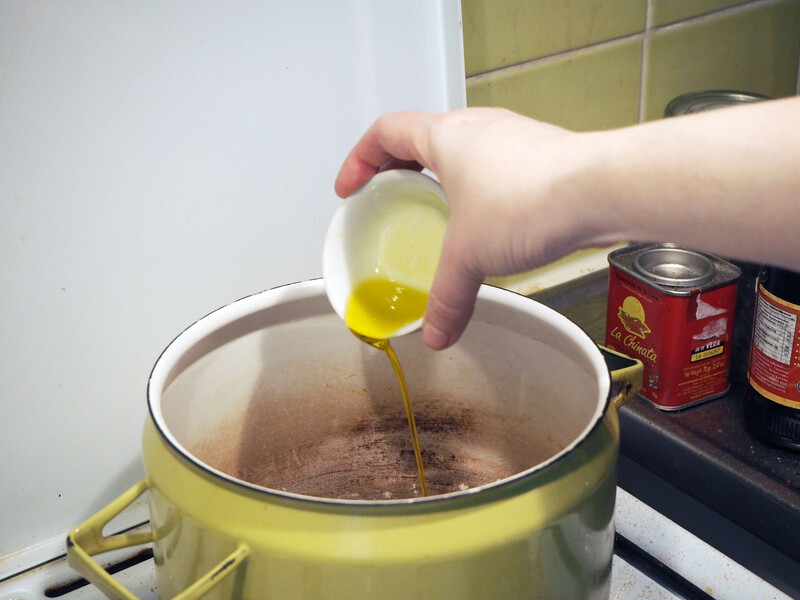 When I’m visiting my family in Turkey, I tried several syrupy Finnish recipes with molasses and it worked too. 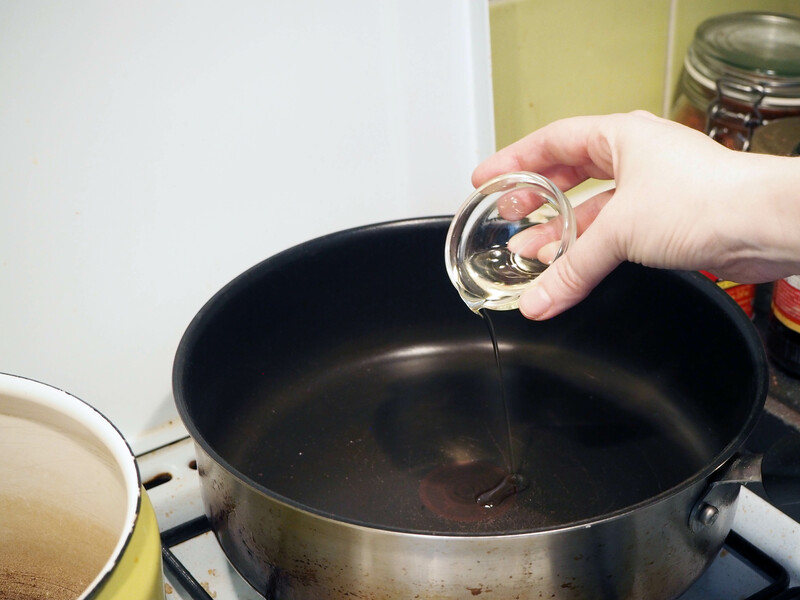 So if you can’t find this kind of syrup where you are, you can certainly substitute with molasses.